Zahran Alloush, the head of Syria’s prominent rebel faction Jaish al-Islam, has been killed by an airstrike near Damascus. 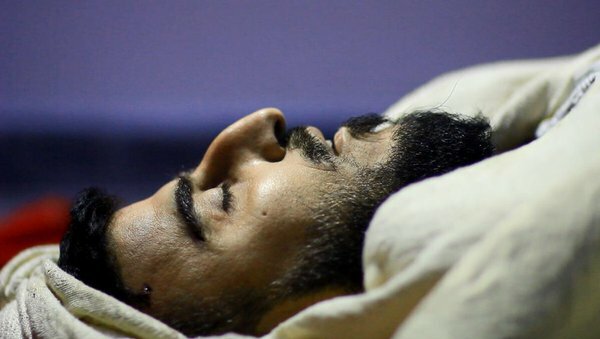 Alloush was killed with five other commanders as they met in the town of Utaya, amid a regime offensive seeking to gain opposition-territory northeast of the capital. The Syrian military claimed responsibility for the attack, but activists said a Russian warplane carried out the strike. Another explanation was that the Syrian air force used intelligence from Moscow’s surveillance aircraft, which are almost always present over the area. Footage of the strike was shown on pro-Assad Al-Mayadeen TV. One of Alloush’s deputies and Jaish al-Islam’s spokesman were also killed. Footage showed mourners gathered over the commander’s body. The faction acknowledged the deaths in a video statement and quickly named Abu Humam Buwaidani as Alloush’s successor. 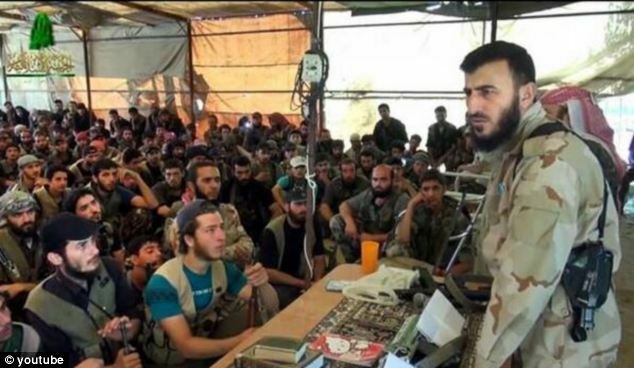 The commander was a controversial but effective leader as Jaish al-Islam built itself into one of the largest rebel organizations in Syria’s 57-month conflict. Based in the Damascus suburbs, the factions has mobilized thousands of fighters — a recent, widely-promoted estimate of between 10,000 and 15,000 members is far too conservative — with 1,700 graduating in one ceremony this summer. The organization has helped ensure that, despite three years of siege and relentless bombardment, suburbs to the east of Damascus have not fallen. However, in recent weeks, the Syrian military — buoyed by the intense Russian airstrikes across Syria — have taken areas northeast of the capital, including two bases near the village of Marj al-Sultan, and reopened the highway from Damascus to the north. 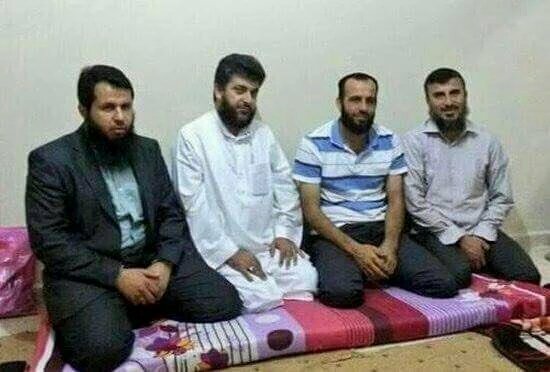 Released by the Assad regime from prison soon after the start of the uprising in 2011, Alloush was a Salafist supported by Saudi Arabia who provoked disputes over his views. In 2013, in a Jaish al-Islam publicity video, he called for a sectarian campaign against Shia Muslims and Alawites, the group to which President Assad belongs. We believe that the future of Syria after Assad should be governed by a technocratic body which has the skills and the qualifications. We do not believe that Syria should be ruled by sectarian or partisan rule, but by a technocratic body that represent the diversity of the Syrian people. Alloush distanced himself from Jabhat al-Nusra, with its allegiance to Al-Qa’eda, but promoted Jaish al-Islam’s links with Ahrar al-Sham, the Islamist organization which is the largest faction in the rebellion. The commander and Jaish al-Islam also were widely criticized over their rule in Damascus suburbs such as Douma, with protests over food shortages and detentions. The faction said that the problems were spurred by merchants and others exploiting high prices from regime sieges and that the demonstrations were fostered by relatives of imprisoned Islamic State fighters. Activists also claimed that Jaish al-Islam was responsible for the kidnapping of four leading human rights campaigners — including Razan Zaitouneh, the co-founder of the Local Coordination Committees — in December 2013. The faction responded that unidentified gunmen abducted the “Douma 4” and rejected assertions that it was not doing enough to find Zaitouneh and her colleagues. The Islamic Front bloc also issued a statement of condolence. However, other opposition groups maintained their distance. The President of the Syrian National Coalition, Khaled Khoja, soon withdrew a message of condolence posted on Twitter. The Coalition did call on the UN Security Council to condemn Alloush’s killing, as did Riad Hejab, the head of the opposition-rebel negotiating committee. The response of protesters in Kafranbel in northwest Syria, accusing Russian President Vladimir Putin of assassinating Alloush to undermine the Syrian opposition and thus boost the Islamic State, the purported targets of Moscow’s airstrikes. 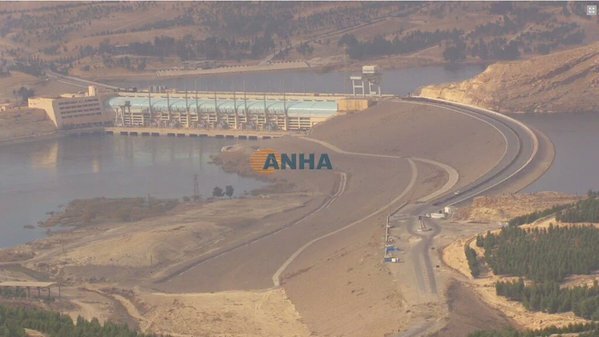 Reports say the Kurdish-led Syrian Democratic Forces has captured the Tishreen Dam from the Islamic State and crossed to the western side of the Euphrates River in northeast Syria. The SDF has steadily advanced against ISIS, but Tishreen, located 90 km east of Aleppo city, was quickly taken in an offensive that started this week. The dam was built in the 1990s. It was captured by rebels in November 2012 and subsequently taken by the Islamic State. Russian airstrikes have killed more children, this time in a strike on a school in Jarjanaz in Idlib Province in northwest Syria. Pro-opposition activists are circulating pictures of the dead children on social media. Some reports said the school was sheltering people displaced from other areas of Idlib Province. Qatar has publicly disagreed with Russia over the future of President Assad, following Foreign meetings in Moscow. Russia has undertaken an obligation to battle terrorism in the region….According to our estimates, Bashar al-Assad and his inhumane regime support terrorism and represent one of its main sponsors. Interestingly, Russian State outlet TASS headlines the division, rather than proclamations of “common positions on resolution of the Syrian crisis”. Qatar has drown closer to Saudi Arabia, the main backer of the Syrian opposition and rebels, as Riyadh has increased its support and taken the tough line that Assad must depart for negotiations to develop. The opposition Local Coordination Committees have documented the deaths of almost 200 people across Syria since Thursday amid Russian and regime airstrikes. The LCC said 97 people were killed on Thursday and 101 on Friday. Of the deaths, 106 were in Aleppo Province, with most from Russian airstrikes on towns such as Azaz, Hreitan, and Andan. Moscow’s warplanes also bombed in an attempt to check a rebel offensive moving towards the villages of Handarat and Baskhoy, north of Aleppo city. Another 51 people died near Damascus. Many were in the suburbs of Hamouriya and Erbin.